The design integrates multiple layers of material to help bend and absorb the shock to prevent the screen from cracking. Verizon was more than happy to put its phone through multiple drops on a concrete block to demonstrate its durability. Spec wise, the phone has a 5.4-inch quad HD display, a 21-megapixel rear camera, a 5 MP selfie cam, and a 3,760 mAh battery rated up to 48 hours. 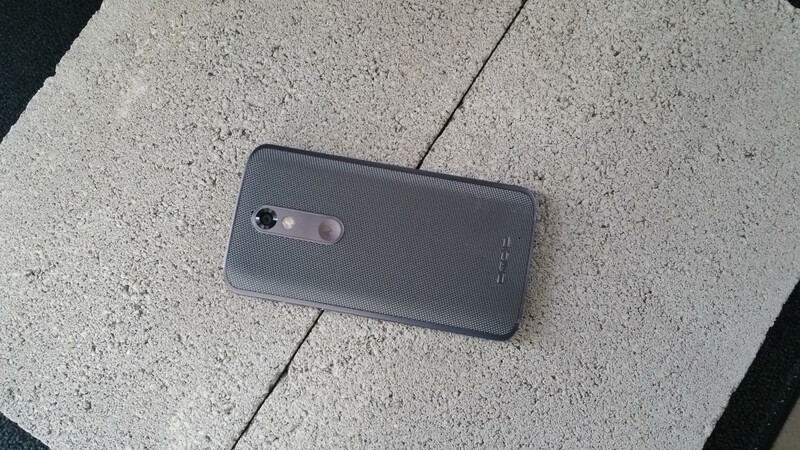 The exterior looks quite a bit like the new Moto X Pure Edition, with a curved, textured back that’s removable for access to SIM, MicroSD slots and changeable case colors. 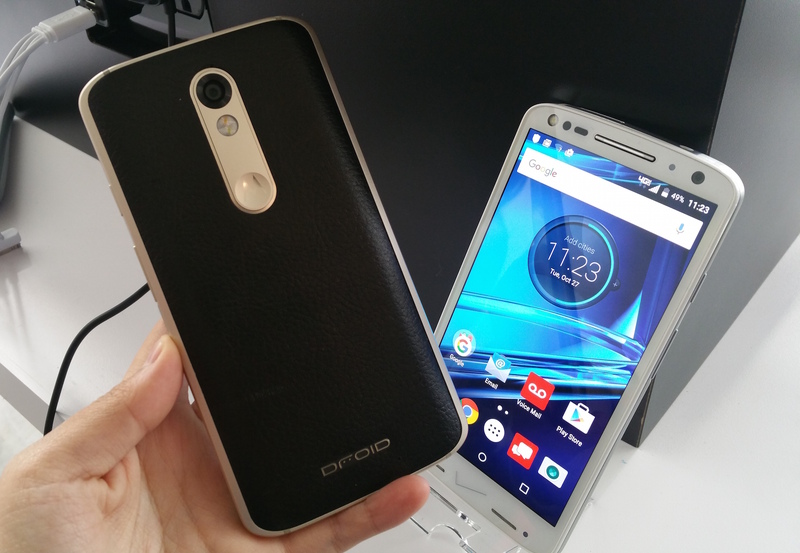 You can also customize the Droid Turbo 2 on Moto Maker. Cool stuff, but why didn’t Motorola incorporate this into its own Moto X line? Motorola Corporate Vice President Jeff Miller tells us that because of its relationship with Verizon’s Droid line since 2009, it was important to continue innovating for the platform. Miller also said that the phone has been tested in Motorola’s own Chicago headquarter, with specific labs to perform drop and tumble tests. “We dropped it on concrete, on its side, front, back… it took us some time to optimize the recipe that could withstand the shock without losing touch sensitivity. The layers of Motorola Droid Turbo 2’s shatterproof screen. The Motorola Droid Turbo 2 will be available on Thursday October 29 with a limited time trade-in offer for up to $300 off the new device. Phones with cracked screens accepted. Verizon was shy to state the full price, but did say that the 32GB and 64GB devices will be available for $26 and $30 a month respectively on a 24-month plan. Expect to pay around $624 and $720 out of pocket, assuming you don’t upgrade before the two year mark.